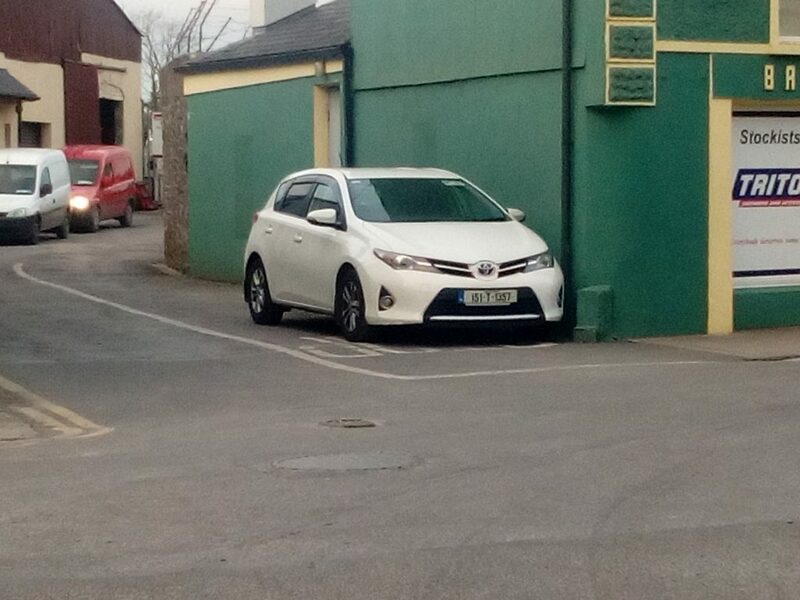 When I moved to Ireland I considered myself a very good driver…. I’ve since become an expert in driving on the wrong side of the road, down the middle of the road and even on the pavement, if needed. I can execute split second emergency stops on muddy country roads, I’ve become a pro at hedge clipping, without damaging the paintwork on my car, going through roundabouts without slowing down much, squeezing past oncoming vehicles with literally millimetres to spare (without panicking) and I can park like a pro… Wherever I can fit my car, including on the street. I’m not sure if this is a good thing?!? 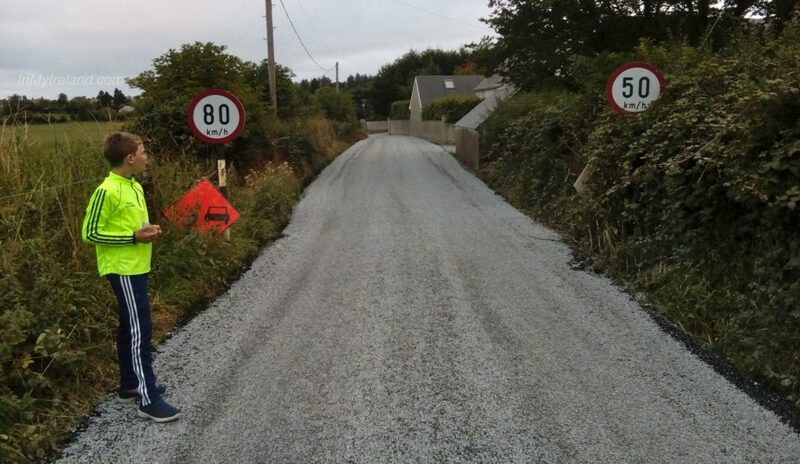 Ireland’s roads are interesting and driving here even more so. With that said, driving around is definitely the best way to explore the country, if a bit stressful at times! Here are some things I learned and found from driving around here. I also once patiently sat for a few minutes behind a lorry I was following, before realising that it wasn’t going anywhere… At least not yet. 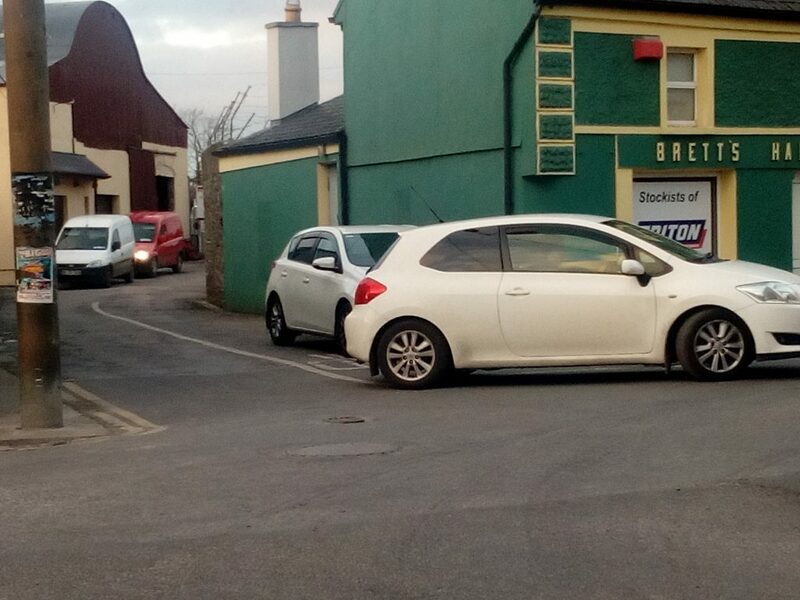 It’s driver calmly parked it right there, on the road, before going off to do his business. Parking in the side of the road facing oncoming traffic is perfectly acceptable. 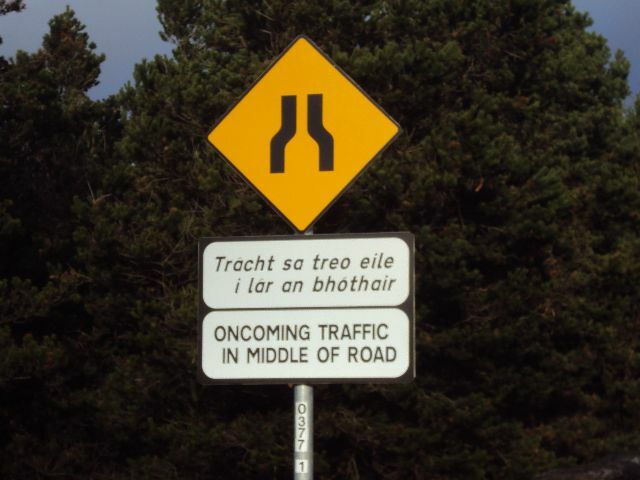 Road signs and rules in Ireland are standard fare, with signs being very carefully designed to get the message across clearly as can be seen here. Sheep. In many parts of the country roads are dotted with free range sheep (with zero road sense). 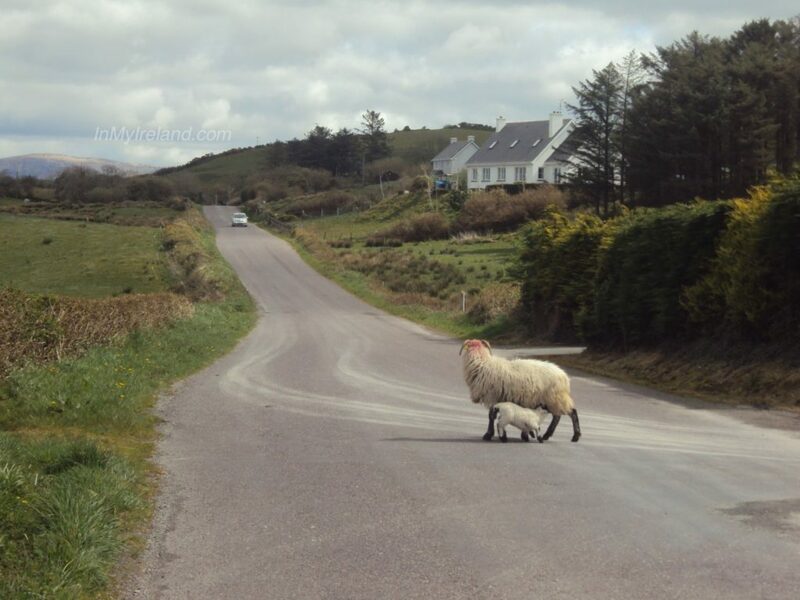 You will also see signs in rural parts of the country warning you against “sheep on the road”. Cyclists are regarded as and treated similar to all other traffic and many cyclists will not get off the road to let you pass, so you may find the occasional one, or group, peddling away happily down the road with a long line of cars behind them, patiently waiting for an opportunity to overtake. 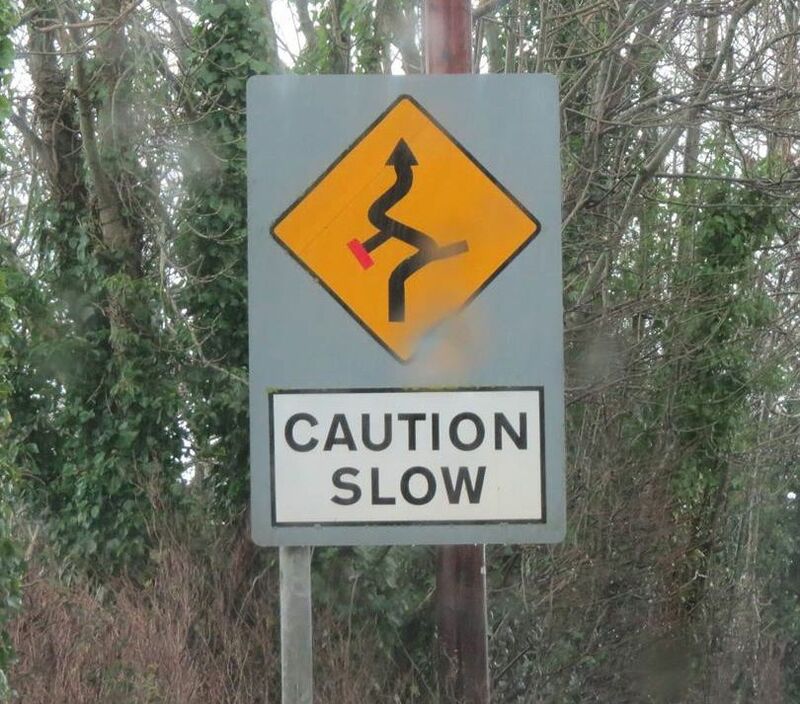 Drivers in Ireland are generally very polite, patient and forgiving. (Until they get onto the motorways, when you may find the odd rude one) Pedestrians on the roads get given a wide berth when passed and if there is not enough space to do so, cars will slow right down and crawl past them. Which makes walking here very pleasant. Navigating heavy town traffic can be interesting, but something I and many other drivers here do, is follow what I think of as “path carvers”. What this means is tucking in behind another vehicle and letting them navigate through the traffic, with you tail gaiting. This works especially well when you are following a truck or bus, they make lots of space! This practice can make driving through heavy traffic and these crazy tight streets much easier and provide some unexpected humorous situations too, like when the “follower” vehicle’s driver get so focused on following you, that they forget to watch WHERE they are following you to. I’ve had a Learner driver try to follow me into a parking space once. And another car obediently pulling over on the side of the road when I stopped so my son can take a quick bathroom break, much to my son’s dismay! Once you get to one of those narrow (approximately 8 feet wide) and very twisty little roads going down a mountain and see the sign optimistically saying 80km (50miles)/h, you’ll understand…. When you’re driving and see an approaching vehicle flash it’s lights at you, it’s to warn you. A quick flash-flash is usually a head’s up that there is something needing caution ahead, possibly an animal on or close to the road, or pedestrians (where you wouldn’t normally expect to find some). When oncoming cars flash-flash-flash their lights at you rapidly and clearly with the aim to get your attention, it usually means there is something serious going on ahead, like a road traffic accident. Either way, if you see flashing lights, slow down. When renting a car, do take the insurance offered. If only for peace of mind, though after chatting with an American tourist who managed to lose both a tyre and a rearview mirror within 5 days of arriving here… I’d say just get insured. It’s cheaper. **A note on drivers licences: If you hold a valid driver’s licence from Australia, South Africa, New Zealand, Jersey, Isle of Man or Switzerland, you can exchange your licence for an Irish drivers licence, but must do so within one year of your licence expiring. I’ve also been told that you have to do this exchange within one year of arriving in Ireland, but for insurance purposes, I’d suggest do it asap. Drivers with a licence issued by an EU/EEA member state can continue driving on this licence in Ireland until it expires. If they wish to exchange their licence for an Irish one, they must do so within ten years of their original licence expiring. 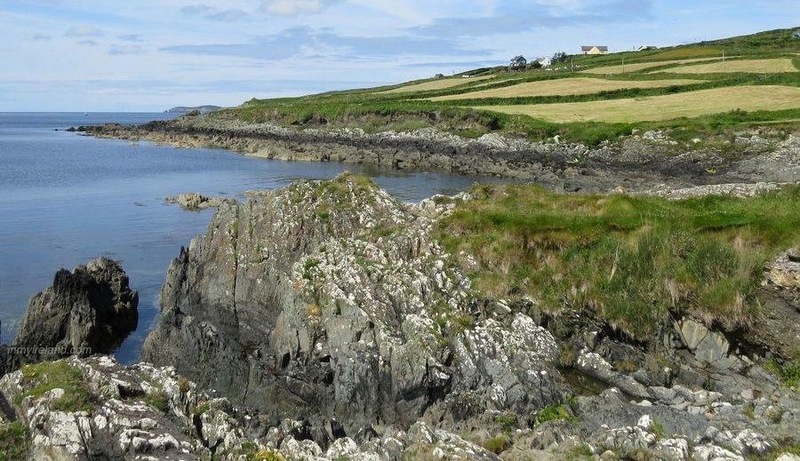 Drivers from the United States and Canada can drive in Ireland on a drivers licence (or international driving permit) from their country of origin for one year. 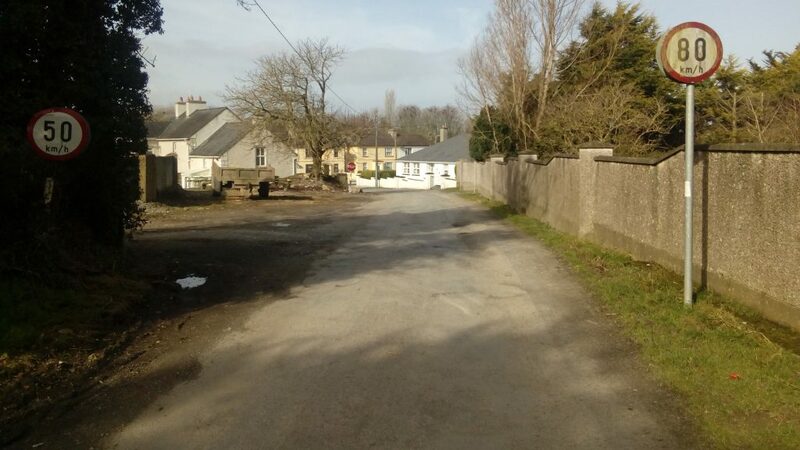 If you are staying longer than one year, you will have to apply for an Irish drivers licence. You can also apply for an international drivers licence which is valid for one year after the date of issue. This licence is recognised by any nation, including Ireland, that has signed the 1926 or 1949 UN Convention on road traffic. If you are travelling to Ireland from another country, contact your embassy in Ireland in advance to confirm whether this licence type will be accepted.